We asked parents of children with ASD to give us some insights into the particular issues that they face when taking a child through the airport, some of their tips to get through it, and what they think airports should be doing to help make this journey easier for them. 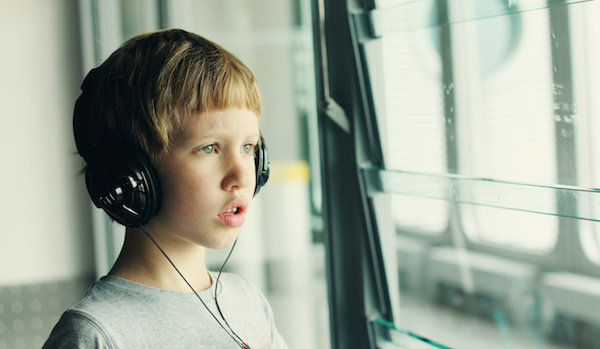 Over 80% of parents of children with Autism Spectrum Disorder responded that the airport experience is a particularly daunting one in a recent survey conducted by Airport Parking Shop. Children with autism are likely to find airports very problematic, which is unsurprising given that it is a scenario far removed from everyday life. Queuing, security, announcements, crowds and more can all combine to make it a pretty overwhelming experience for anyone with ASD, but in particular children. In recent years airports are beginning to step up their facilities for those with ASD – Manchester Airport led the way for a while in the UK, with booklets available on each terminal, but these have since been removed. You can still request a lanyard for passengers with a hidden disability though. Other airports such as Gatwick offer a booklet here, whilst most recently in 2017, Newcastle Airport have trained their staff on autism awareness and now offer an autism passport which allows holders to Fast Track through security and Heathrow now offer Sunflower Lanyards to those with a hidden disability. Airports are getting better and better at helping those with autism through the experience and since writing this blog, many UK airports have now stepped up to provide some levels of support. In the table below, you can see what each airport has available to date. We will try to keep this updated. Continue reading to discover more about what our survey respondents said. Click the plane emoji ✈️ in each row to be taken to the official airport information. Durham Tees Valley Airport No details specific to passengers with autism found at this time. As you can see, most airports are really making a difference in what they offer to passengers. Our respondents replied with three key factors to consider when deciding to go abroad with their child on the autistic spectrum. When travelling, you want to keep your child comfortable at all times. Flight length is key to this – look at locations where you are going to keep the flight time as short as possible. With all the time at the airport at both ends to factor in, having to deal with a long flight on top of this could be too much to cope with. Some airports are more intimidating than others. If crowds and noise are big concerns for you, perhaps look at a more regional airport to fly from. Flying from somewhere like Bristol may be a quieter option than going from a major London airport. There are of course umpteen factors to consider here, but think carefully about the time of year you are going. Is your chosen location a popular tourist destination? If so try to avoid the peak season or you won’t just be dealing with crowds at the airport. Will there be enough to keep the family entertained? Think about the food; is there enough variety and will you be able to get any particular food that your child won’t do without? Time difference is another issue to consider, if there is a large time difference will this affect your child? If have done your research and have decided to go abroad with your child, our survey respondents gave us some ideas of the things at airports that caused an issue. 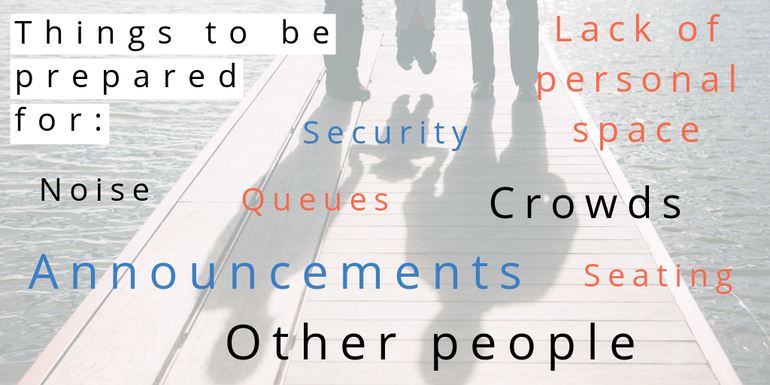 First off, you have the big things that come with airports such as crowds, queues, and noise. Unless you have a very early flight or a very late flight, you are likely to encounter a lot of people. This means there will be queueing for nearly everything, and of course, a lot of noise. You may find that personal space becomes an issue, with people being impatient in queues or rushing to get to where they need to be. Security is a pretty big deal – you will have to cope with all of the above on the wait to go through, and then there is the body scanner and the staff to deal with. Several times we were told about families coming up against issues at this point, with a parent being unable to go through the scanner with the child, or even worse, being separated. You should make it very clear from the beginning that your child has additional needs. Unfortunately, you may also have to deal with other people staring, commenting, and so on. This is not helpful at all but unfortunately something a lot of our survey respondents had to deal with, especially when skipping queues and so on. Check your seating on the plane. Sometimes you will have to pay extra to book seats in advance, although it may seem like an annoyance at the time, this is well worth doing as airlines have been known to split up families, even with young children. If you book your seats in advance this is one less worry! Announcements are everywhere in airports and on planes, so if your child finds these disturbing make sure you pack headphones, earphones, or even ear defenders. Even on planes during quiet moments there can be an announcement at any time, and sod’s law it will come just as your child is finally drifting off to sleep! So, how do you deal with the myriad of complications? Of course, the above are just some of the things to keep in mind, there are plenty more and you will know what is most likely to affect your child. Preparation! Don’t be afraid to contact everyone and anyone in advance. Contact the airport, the airline, and anyone else who you may encounter during your trip. You will never know what they will be able to help you with unless you ask. You should be able to get access to Special Assistance at the airport, which will help you fast track through queues. Distractions are important. These could be headphones, ear defenders, iPods, iPads, Nintendo DSes or other handheld gaming devices. Remember however that your child will have to part with these in order for the device to be scanned at security, so bear this in mind! Or perhaps take a comfort item that your child is attached to, a soft toy, blanket or similar. Utilise as much material as you can, for example Social Stories. This is where Manchester Airport has really helped matters by providing videos walking through the airport, however you can create pictures and documents to help envisage the journey through the airport and prepare your child for the different noises and sights they might see. You can create timetables and checklists for your child to follow through. This might enable you to pinpoint any problems in advance and help your child overcome them prior to the actual journey. Contact the airport and see if there is any chance of visiting in advance to do a “pretend” trip through the airport so it is not all new. This has become more and more possible in America, but it will depend on the airport itself and how close you live to the airport in question! Remember that it’s okay to have a “whoops!” moment, or to make mistakes. It’s a new, scary experience for all of you, and it’s just about making it as comfortable as possible. Look at your budget and decide whether you can book a lounge. It depends on which lounge and which airport, but many allow you to book in advance and have access for a few hours before your flight. These are usually much calmer and quieter places, with some food and drinks available, quieter seating areas and some magazines and so on. It might just be worth that extra money! Airport may always be more complicated when travelling with a child or adult with ASD, but there are some steps that airports can take to simplify the process. They are already improving the disabled facilities, for example more and more are introducing Changing Places, so continuing this trend for those needing other forms of Special Assistance should be a no brainer! Our respondents agreed on several points that would make their journeys a lot simpler! Fast track, Special Assistance, queue jump, whatever you want to call it, this is really necessary for families travelling together. This combined with Priority Boarding could go a long way to help families with children with ASD travel smoothly through the airport with minimal waiting around. 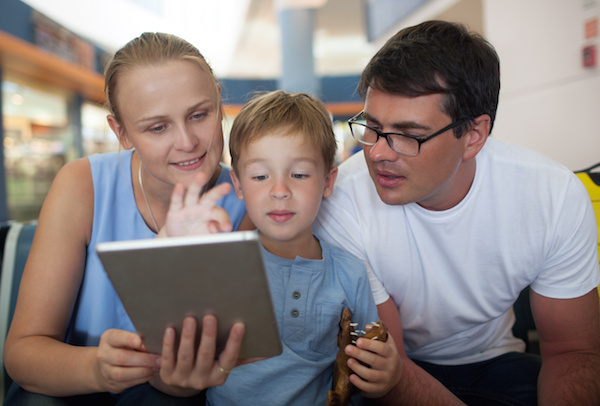 Being able to arrange to visit the airport before your flight and introduce your child to the environment could go a long way to helping them feel more relaxed in the airport and know what to expect. Some airports in America have been offering this, and some UK airports have mentioned that it is possible. It may be worth contacting the airport in advance and see what they can do, especially if you are fairly local! There are many commercially run lounges available at airports, but a dedicated special assistance lounge could provide the necessary calm and quiet environment to keep children with ASD within their comfort zone whilst they have to wait around. In March 2017 Shannon Airport opened a Sensory Room, where passengers with ASD may go to relax away from the busy hustle and bustle of the airport. It was designed by Adam & Friends and will surely lead the way for similar initiatives at other airports. Following suit in October 2018 was Gatwick Airport, with the opening of their Sensory Room, providing a chilled and calming environment. UK airport staff are given training on how to assist those requiring special assistance, however this is often limited to those needing wheelchairs or those with physical disabilities. Our respondents suggested that more specific training in regards to customers with ASD would be beneficial in helping them to understand how best to help these passengers. Far too many respondents to our survey mentioned being split up from their children at varying points in their airport journey. This is entirely unacceptable for any family, let alone a family with children with ASD! Gladly, having updated this blog in 2019, this seems to have changed. In most instances, if the airport team see a child with a lanyard or wristband, they and their family are given priority access to Fast Track services and the like, thus staying together in a calmer environment. Hurrah! Manchester have lead the way with their photobook – if this became widespread throughout UK airports that would be a big step forward, including other materials like videos and leaflets. These resources could be a great help when coming up with social stories and other processes to help children understand all about the airport journey. Perhaps this is a slightly more difficult suggestion, however, having therapy dogs available at the airport was brought up as a great way to relax children whilst they are waiting. Although I expect they would gain quite a lot of attention from everyone! We are very grateful to all those who responded to our survey, and we hope that some of the tips and advice provided can help others travelling through airports with children! It’s time now for airports to really step up and improve the assistance on offer to those with ASD, hopefully by incorporating some of the suggestions above. When traveling to and from the UK this summer, we scheduled a wheelchair for our son to decrease the sensory overload and provide him a quiet place to retreat to with his headphones and a blanket over his head if he become overwhelmed when we were in crowds and had long waits. We only encountered one issue with this, at Heathrow. It took so long for the wheelchair to arrive that we missed our flight. This was incredibly stressful. I don’t know whether it was too few wheelchairs or too few attendants, but as we schedule it ahead of time, it should have been in the computer system and planned and prepared for. This is something else airports can work on. I’m sorry to hear about your experience missing your flight! Airports definitely need to ensure they have the right resources to deal with requests. Many thanks for sharing your experience! A very informative article ,would have been better if the issues with the take off and landing of the aircraft and the anxiety that comes along with it to our children with ASD would have been covered . and Also the tolerance and awareness of the co-passengers be brought to discussion. Many thanks for your comments. We did actually get some responses about take off and landing, however due to length they didn’t get included. Do you have any advice for helping a child through these events? Our respondents mentioned a few times about the staring and comments from other passengers – this is definitely an issue that needs to be addressed as it’s unacceptable to have to deal with that on top of trying to keep a child calm in an intimidating environment. I write stories for young children and they are based on our own experiences with our son who has a diagnosis of Aspergers. The idea is that they can help children cope with new situations and be a visual story aid. One of the titles is ” Suzie goes on an Aeroplane ” and is available in paperback or as a PDF. If you go to http://www.suziebooks.co.uk you can see the stories and also get a taster page from each title. Axia ASD Ltd were delighted when asked if we would post this on our website. In fact we had already heard recently from one of our patients that their experience of flying from Manchester Airport with five members of the party having Autism was actually a pleasurable experience for the first time ever! When we attempted to look at the Manchester Terminal 1 video on an iPad a video error occurred and it would not play. Finally, you may wish to make some links with Circus Starr in relation to an App they have for mobiles enabling children with Autism to plan a journey, trip and so on as there may be a way to get this information on to an iPad or iPhone which could be used at the airport in the same way as the excellent booklets. Keep up the good work, it is really making a difference. I have travelled a lot with my son particularly but also my daughter (both are autistic) and we find Dublin Airport is one of the best in the world for supporting us. We do not use the special services intended for mobility impaired as these can involve too much waiting around; but instead tell staff at every step that we are Travelling With Autism and ask for specific help. I’ve flown very successfully with Singapore Airlines long haul with my son. They let us board first, before EVERYONE and get settled into our seats, use the bathroom, change into jammies and then watch a DVD. They are also very good about assisting us off the plane if needed. Can’t speak highly enough. I am also a fan of Amsterdam Schipol for transiting through to Singapore as they will also assist you to change gates etc. And Singapore Airport is AMAZING. My 16 year old has asd and gets very anxious when travelling and having to stand in ques with people pushing and shoving we tend to find a more local airport leeds bradford easier to fly from only 40 min from home but they don’t have the autism awareness programme I think every airport no matter of its size should have this facility. I too have had mixed results travelling with my 2 adult children both of them have asd. Most frustrating is airport security where we always end up separated and my daughter always seems to be frisked and becomes anxious . Some staff are very understanding but others not so. Much better if we could all go through at one time or at least not be split.Edinburgh airport have been working with Scottish Autism to improve facilities so let’s see what this summer brings. I’m dreading to fly from Heathrow next week. I’m so disappointed that I can’t find any information of fast track for families with children with autism at this airpor, or any other type of assitance. I’m flying on my own with my two children. My younger one, who 10, has autism, and because of their age we don’t have priority boarding anymore. But it’s so frutrating that still nowadays, when 1 in every 100 child with autis, still there isn’t an awareness and fast track or jump queues and other assistance for this vulnerable children. It just make our experience and theirs so much more stressful than it already is when we fly, especially in long flights like we are going to do! I’m sorry to hear that Simone – have you rung both your airline and the airport? You might be able to get some assistance or perhaps ask the airline if you can have priority boarding in this instance. It really is a shame that it’s not standard practice to have special procedures for dedicated security lanes and priority boarding for those with autism! I really hope it goes smoothly for you all. We flew from manchester last week and got their awareness pack and fast track bangle. It was faultless. No queues and more staff interaction throughout. We chose to get on the plane last so not to have to sit on there too long while everyone else was sitting down but the option was there to choose first boarding. He was ok on the bulk of the flight but fainted on landing but the cabin crew were great with him. I also used the bangle at mahon airport on the return flight and they were just as good. The lady at special assistance typed onto the system that he had autism and the journey home was just as good. We did get a couple if grumbles from a family we were placed ahead of at the front of the queue but I just ignored them. I’m flying from doncaster next year. Hopefully they will be as good. It’s so great to hear that you had a positive experience at Manchester Airport! All we know is that the autism awareness scheme is unique to Manchester at the moment, it isn’t available in Stansted either, which is also part of MAG. However, I would contact both the airport and your airline to see if there is anything else they can suggest / provide, such as Fast Track security and/or Priority boarding perhaps? I travelled from Manchester airport 18months ago with my ASD son who was then 7. Unfortunately, we didn’t know about the autism packs back then but he was actually fine as I explained each step to him. I was, however, very worried about his ear defenders because he carried them himself in their own little bag and I wasn’t sure if we would get stopped by security. The staff obviously knew what they were for and helped us immensely during the security checks. I was very impressed and I now think if we’d have made a bigger deal of the whole experience, it would have been more overwhelming for my son. I’m sorry that you have had a distressing time in the past, that cannot be pleasant for you or your son at all. Were you aware that Gatwick are currently offering lanyards for passengers with Hidden Disabilities, much like the those you explained your son has? These lanyards are to make the airport staff aware that the wearer may need assistance, may struggle with the experience or that special care be taken. They also have a great booklet on how to make your journey easier, detailing the special assistance desk locations and contact information for the terminals, click here to have a look. With regards to his ears hurting on the plane, have you tried letting him watch / listen to something on a tablet or phone with headphones as a distraction? We have had a few parents say that they have found this to work with their children. Above all, it’s always worth contacting the airport and your airline to let them know in advance, that way they can both advise you of any ways in which they can further assist you and your son to make the journey a bit more comfortable. Wishing you all the best with your next trip, we hope your son has a much more enjoyable experience this time! Option 3 to discuss your options? You’re more likely to get an instant response! You could even try tweeting them both at @HeathrowAirport and @British_Airways both are very responsive on Twitter! Thanks for these phone numbers , however…. I called today and was told by BA that they have no program in place to assist families with ASD kids. I also tried Heathrow Special assistance, who,told me they have no program either and that I needed to call BA. I can’t believe a company like BA and an airport like Heathrow are lagging so far behind Liverpool and Manchester airports in such an important area. Oh, that’s so sad to hear that one of our biggest airports and airlines don’t have support in place. Very disappointing! I know this is for Manchester Airport, but they have a great Autism Awareness Programme and have free downloadable packs to help ease the journey through the airport. Some of the photos are specific to Manchester, but the activities are generic and can be used in any airport and are aimed at making your child feel involved in the whole process – almost a distraction technique. Here’s a link to their packs if you’d like to take a look. I’m not sure if it will work, but it’s better than the information you have been provided with thus far – Come on Heathrow, step it up!! All this information is so helpful, however, we are flying on Saturday from Gatwick with our daughter who has Autism and severe anxiety with a flight time of 6am. I have tried calling, many times, special assistance at Gatwick mainly to ensure that we will be able to get a lanyard that time of the morning and also to check what other help they can offer but I’m finding it impossible to get someone to answer the phone. It’s not very reassuring! Is there another way to contact someone? Glad you have found it helpful, but sorry to hear you haven’t been able to get through to anyone. If you’re able to, I’d tweet them here @Gatwick_Airport as they are pretty good at being responsive! Hope you get a lanyard sorted! We’re travelling from Gatwick with BA to Mexico in 4 weeks with our 7 year old who has Aspergers and anxiety. We can’t find any info about wristbands only at Manchester Airport. Does anyone know what help we can get? Also I’ve read on here about lanyard? It might be worth contacting Gatwick directly, however if you visit this page on their website you will see that they do offer lanyards and have staff specially trained to help those wearing them. It is not clear if you need to apply in advance or not – but there is an email there you can contact them on. Hope that helps – let us know how you get on! We hope this helps and you receive the assistance you require. What a great article. My working therapy dog and I would LOVE to help destress people travelling with autism at Gatwick if only it were possible. Sure, as you say dogs attract a lot of attention but when my dog is wearing his official Pets As Therapy livery people are curious but kind and respectful and allow him to ‘work’ (ie get belly rubs!). My son is constantly stopped at Gatwick going through the body scanner & I’m always told it’s Random. My son is autistic & I feel he is being singled out I know that someone is viewing the cameras & deliberatly buzz the scanner when through this morning & same s……… I’m really getting sick of this. I have tried to get in touch with Manchester airport using the email link on the autism booklet and also the telephone number. The email link is no longer valid and emails are undeliverable, and the telephone number has changed. Surely a big organisation like Manchester airport should keep these things up to date. Sorry to hear that! Upon looking into this further, it seems that the information has disappeared from their official site, too. My son has a physical impairment. We are flying from Gatwick in September to Canada. He has a wheelchair which he uses to get around in. Last time we flew he was a baby. My question is what do I tell them about his disability and wheelchair? We are bringing our own wheelchair instead of using the one provided by the airport. Also my son is on medication for his bladder issues. My daughter is also coming on the flight. Firstly, I’d contact both your airline and the airport to let them know your son will be bringing his own wheelchair. They can then advise you how far he can go with his own equipment (usually to the aircraft doors, but good to check). When it comes to medication, that should be fine to take through so long as it’s in the original packaging. If taking it your hand luggage, it may be worth having a doctors note if there is a large quantity.